On finishing her degree at Glasgow School of Fine Art, Katy was awarded a travelling scholarship from the Royal Scottish Arts Academy to paint and study in Italy. Since then she has travelled extensively throughout Asia, India and Europe. Katy Ellis paintings are is inspired by the rich vibrant cultures of the countries she has visited. 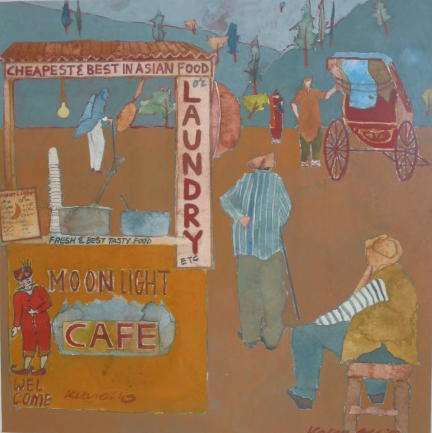 Often working from sketch books and photographs, her keen observation of people in everyday situations is very evident and a recurring theme in her paintings. Although still a comparatively young artist, in addition to Cotswold based Red Rag Modern Art Gallery, Katy Ellis paintings are found in galleries throughout the England, Scotland, Northern Ireland and the USA.